Someone should have them lying around. 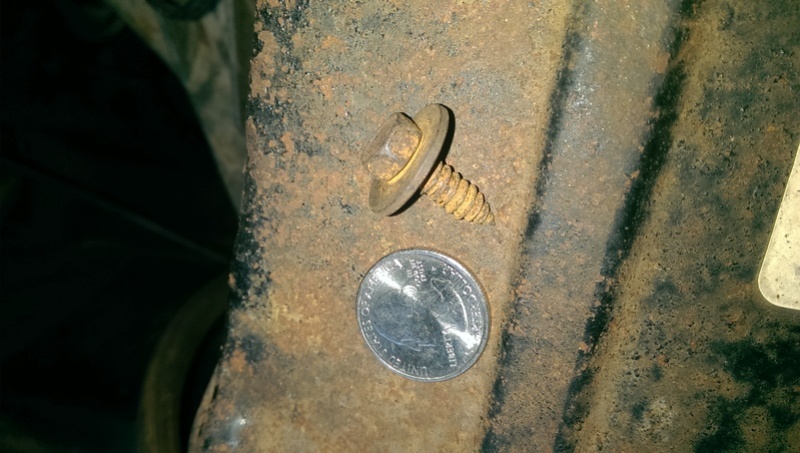 But they are short, maybe 3/4" , 5/16" head if I remember correctly, and are self tapping like a wood screw. They go into a thin metal clip located on the radiator cover. Mine are bagged up or I would take a pic. I can pull one off my car and post up the specifics/pictures when I get home tonight. Okay now we know thanks !!! Anybody got them ? Hit up Wbaker01, he has an open thread in the classufied section for 73-77 parts. And he mentions in his ad that he has bolts and oddball stuff along with big parts. Worth a shot. lagunaman wrote: Okay now we know thanks !!! Anybody got them ? That would be great !!! Any dust cover screws for the transmission ??? I've bought several screw kits from him in the past for my Trans Am's and Z28's. I'm sure a lot of that hardware is the same. He may be able to hook you up with all new stuff. Just a thought. lagunaman wrote: That would be great !!! Any dust cover screws for the transmission ??? » how do I modify my 14hp opposed twin briggs?